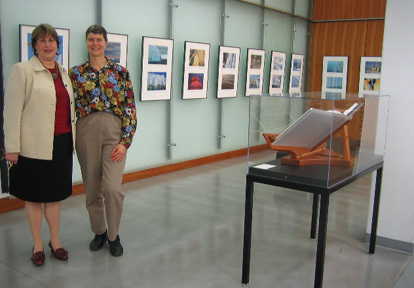 Lafayette College hosts the first North American exhibition of the Keoughs’ ANTARCTICA tome plus imagery from this polar portfolio as curated by Diane Shaw, Special Collections Librarian and Archivist, Skillman Library. The exhibit being quite popular among the students and staff, is extended through the new year. 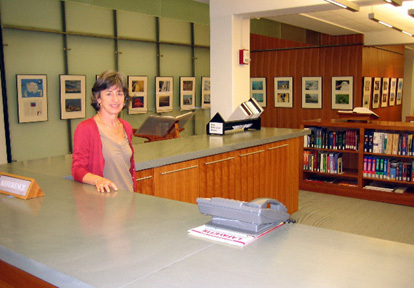 Canadian photographer Rosemarie Keough will speak about the making of Antarctica, a book she coauthored with her husband Pat Keough, 4:10 p.m. Thursday, Nov. 16 in the Williams Center for the Arts room 108. The talk is free and open to the public. 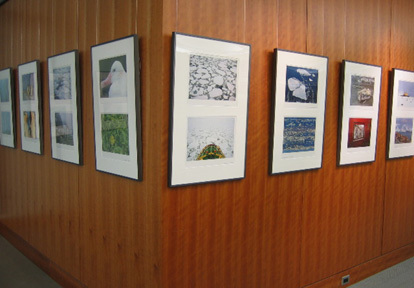 Both the book and a selection of its breathtaking photographs will remain on display in the Lass Gallery of Skillman Library through January. For information about the display, contact Lafayette Special Collections at 610-330-5148. She will also discuss the photography and experience with students in Digital Photo I, taught by Karina Skvirsky, assistant professor of art. Together the Keoughs photographed, authored, designed, and published Antarctica, the first book in their Explorer Series, and the product of their 24-month sojourn exploring the Antarctics polar plateau, mountainous coasts, and icy seas. In keeping with the mission of the series to create beautiful books while assisting environmental and social causes, its profits are pledged to BirdLife Internationals Save the Albatross campaign. 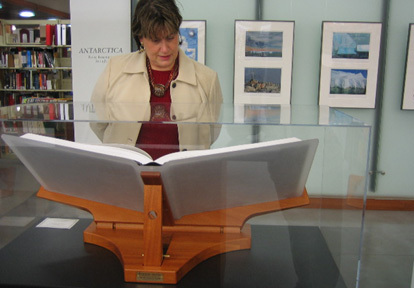 The acquisition of Skillman Librarys copy of Antarctica was made possible by a generous gift from Ellen Kravet Burke 76 and Raymond M. Burke 75 through the Friends of Skillman Library. 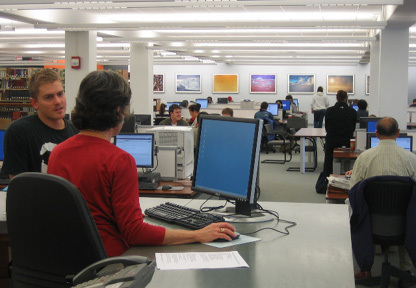 Lass Gallery hours are 8:30 a.m.-1 a.m. Monday-Thursday, 8:30 a.m.-10 p.m. Friday, 10 a.m.-10 p.m. Saturday, and noon-1 a.m. Sunday. 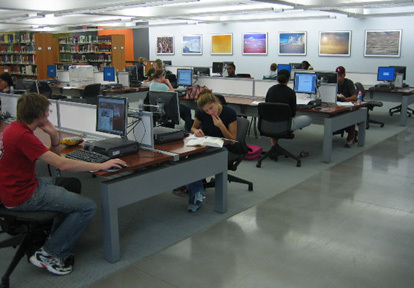 After Lafayette, the photograph collection will travel to Western Washington University in Bellingham, Wash. Since Antarcticas publication, the Keoughs have won numerous awards, including the Royal Geographic Societys Cherry Kearton Award for outstanding photography of the natural world and Worlds Best Photography Book from the International Photography Awards. Antarctica was also named Book of the Year by the Economist in 2003, and received the 2003 Gold Ink Award in the Fine Editions category. In addition to the Keoughs vivid photography, the book was bound by hand using antique bookbinding traditions. 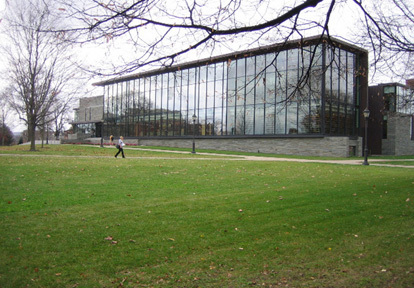 Pat and Rosemarie Keough are very pleased to acknowledge and thank: Diane Shaw, Neil McElroy, Marilyn Kann, Pam Murray, and Eric Luhrs, all of Lafayette College; also Mr and Mrs Raymond Burke, very special friends of the Skillman Library.